Thank you for this wonderful interview. 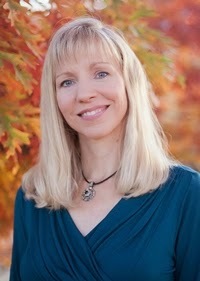 I love Julie Klassen and her books! Rebecca De Mornay, hm? Very flattering, thank you. 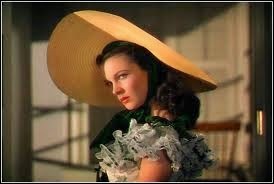 I wish I looked half as good as either actress! :) Thanks again for the fun interview and for participating in the tour. Can't wait for both books! Thank you for this perfect interview! I love all of Julie Klassen’s books, and I cannot wait to read Lady Maybe! This blog tour is so exciting! I liked seeing the pictures to visualize your characters. And I think Darcy would be too intimidating for me too! Rebecca by Daphne Du Maurier is a fabulous book. It's one of those classic gothic romance books I remember reading years ago. 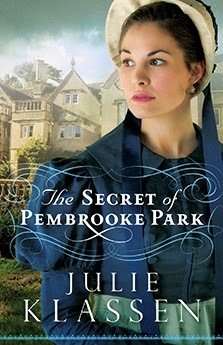 I enjoyed this interview with Julie and am looking forward to reading The Secret of Pembrooke Park. Great interview. We live in a wonderful time for research, don't we? So much information out there easily obtained! Blessings! And thanks for the giveaway! lovely cover. thanks for the interview. I'd also love to meet Mr. Darcy, swoon! Loved this interview! :D Especially the random questions! What a great interview! I enjoyed reading all of the responses from Julie Klassen. Loved your interview! The questions were very insightful. Thanks! Julie, you cracked me up with that bit about Laura Dern. :) Have you seen When the Game Stands Tall? Great movie with her. Also try October Sky and Jusassic Park, two of my other favorites with her. Great interview Julie! I enjoyed getting to know more about you! You mention Mr. Darcy quite a bit so I guess I better get to reading and/or watching Pride & Prejudice to know of whom you speak, lol! I believe I have the book & the movie may be on Netflix. I better catch up :-)Your books are great, I've read 5 of them and enjoyed each one. I also love the Regency era because of you (yes, that's a good thing)! Thanks again for sharing today on this blog and for a great giveaway! Would love to see all these on my bookshelf! Cannot wait to read all of Julie's new books! Fun questions and answers! Thanks for posting this interview! What a fun interview! I enjoyed reading more about Julie in this entry! Thank you all so much for the wonderful comments! I'm glad that everyone has enjoyed Julie's interview. I thoroughly enjoyed posing the questions and reading her answers. She's fabulous! Julie, yes . . Rebecca De Mornay! Thank you so much for stopping by at my site. This was a great interview! I really enjoyed it! Great interview! I went to an English Country dance in Williamsburg once and loved it...wish I could do it more often! Great review. I have read and enjoyed Julie's book in the past and I can't wait to read this one too. Love these new insights into a fav author - thanks for interviewing Julie and promoting a unique writer !